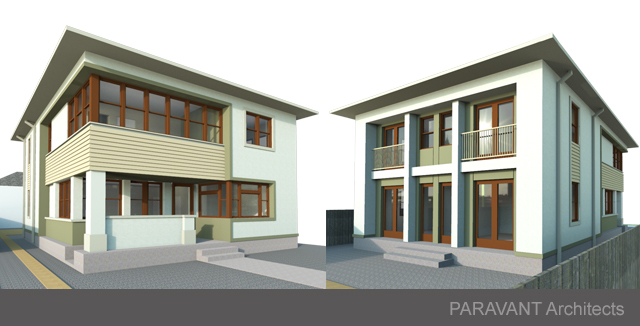 PARAVANT Architects designed a modern interpretation of an American Four Square multifamily residence. The two story building is located in close proximity to the University of California (USC) campus and is part of the University Park Historic Preservation Overlay Zone (HPOZ) Los Angeles City Planning Department, Office of Historic Resources. During the HPOZ public hearing this week the board members approved the certificate of appropriateness.